Very old topic update: the present is the official forum topic for MediaInfo (http://www.portablefreeware.com/?id=884), a powerful multi-platform OSS media file information utility that became notorious overnight when it started including Open Candy with its Windows installers (see http://mediaarea.net/Bundled). 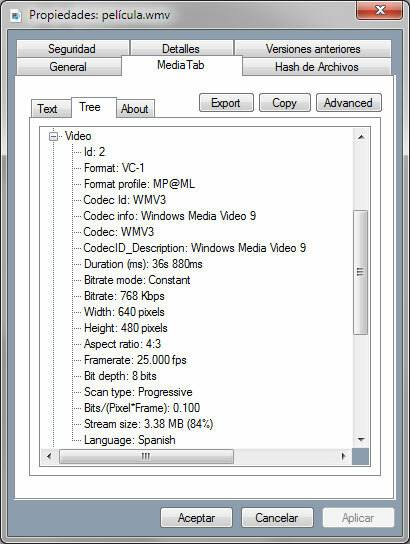 [url]http://mediaarea.net/en/MediaInfo[/url] author wrote: MediaInfo is a convenient unified display of the most relevant technical and tag data for video and audio files. 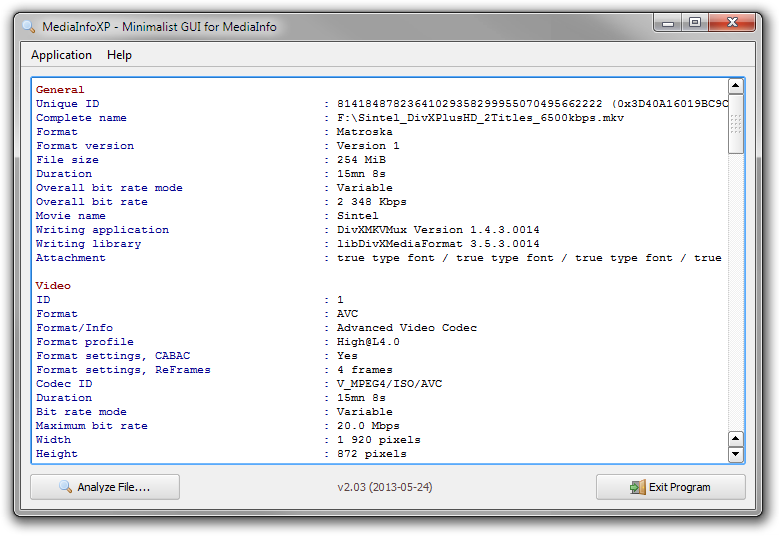 MediaInfo latest version (currently v0.7.8.1: http://mediaarea.net/MediaInfo/ChangeLog) can be downloaded from http://mediaarea.net/en/MediaInfo/Download/Windows. MediaInfo multi-platform file repository still lives at Sourceforge.net (same caveats as above for Windows versions): http://sourceforge.net/projects/mediainfo/files/binary/. 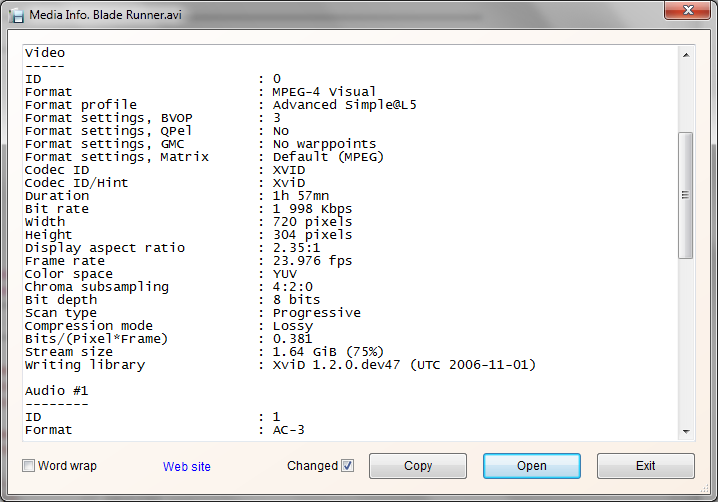 BTW, K-Lite Codec Pack is known to include a clean alternative version with no adware called MediaInfo Lite (http://www.codecguide.com/download_other.htm#mediainfo). 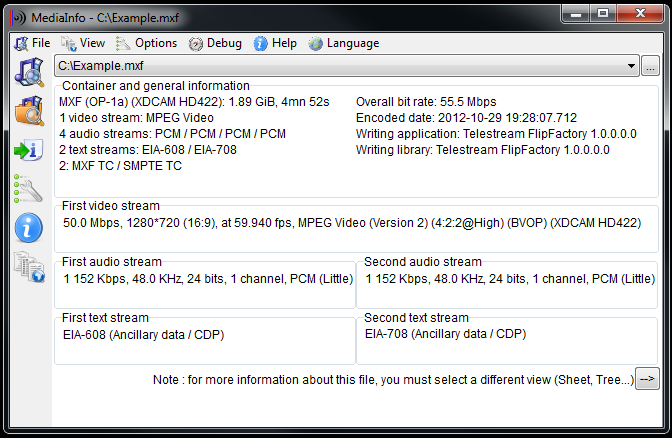 [url]http://muldersoft.com/#mixp[/url] author wrote: GUI for MediaInfo, an OpenSource tool for displaying technical information about media files. MediaInfo in 'Windows (Files) Explorer'… Very small program extracted from Movied to be used separately… It finds MediaInfo.dll (32, 64 bits) and shows media info for almost any media file. Ah, right. I hadn't realized that deathcubek = MuldeR. Thanks. By the way, MPC-HC can also show MediaInfo data (File -> Properties -> MediaInfo). Also, DP Mediainfo from Dirk Paehl. billon wrote: Also, DP Mediainfo from Dirk Paehl.